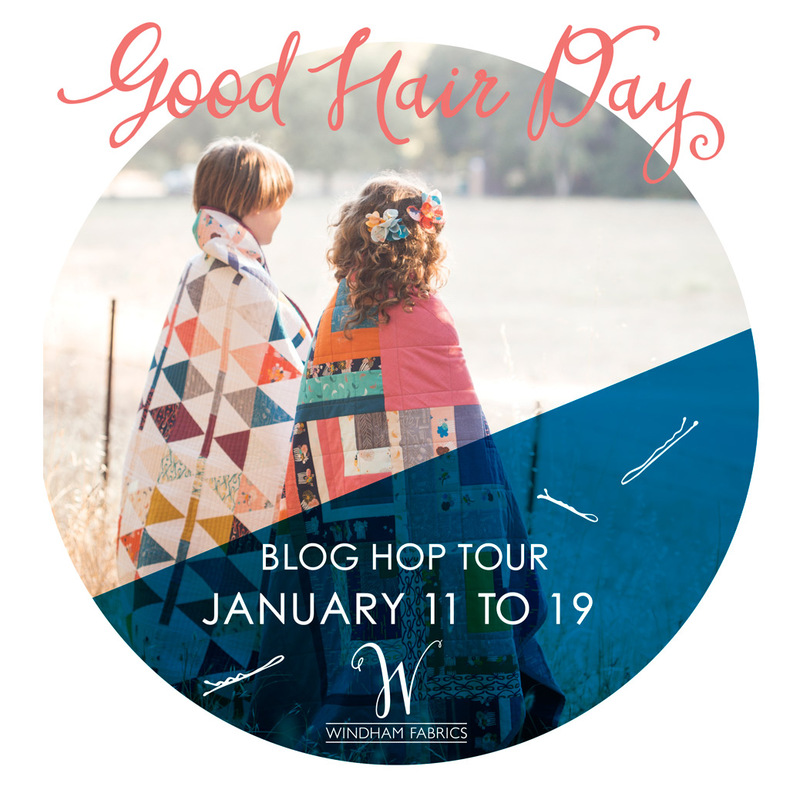 Welcome to the first day on Good Hair Day Blog Hop Tour! The next 9 days are going to be packed full of sewing goodness! Follow along with the Good Hair Day Blog Hop so that you can see all the fabulous projects from the look book in detail and meet the wonderful people behind them. Have you seen the Good Hair Day look book yet? If not you can find it here. Here is the playlist for the Good Hair Day Blog Tour – you won’t want to miss seeing these projects up close! I made several projects for the Good Hair Day look book and I love how they all turned out. It’s funny, as a designer you work with your designs long before they ever make it to fabric, and then when you start working with these designs on fabric they just have a life of their own. Combinations start to come together that come as a surprise, even though you have been working on them for so long. It’s a little bit of fabric magic. I love how the bows show the warmer and cooler colors in the collection and I love how they nest across from each other. I adore the ribbon quilting by Terri Carpenter, a lovely tie in with the bows and hair theme. Twice Tied is a FREE pattern available on the Windham website – available soon! Oh the the Good Hair Day Pillow Set! These were fun to design, though I had to make quite a few hair designs before finding the three that worked the best on a pillow. These have been very popular and I got many squeals when people saw them at Houston Quilt Market. I’ve written up a tutorial for these pillows (see the next post) and I can’t wait to see you make them too. It’s so much fun to see peoples projects made with Good Hair Day! Once I made the appliquéd pillows I was ready the appliqué all the things and experimenting with different flower shapes for this t-shirt was a lot of fun! Today I have a Good Hair Day Fat Quarter Bundle to give away! You can enter by leaving a comment under this post. The giveaway will be open from now until 8PM PST on Thursday, January 21. The winner for this bundle will be picked at random and I will announce the name HERE on Friday, January 22. Windham has another Fat Quarter bundle to give away on their blog today, so make sure you visit them as well! Love this collection and the pillows! I’m making these for a friend’s birthday, and my hairdresser may get a couple for Christmas- I start early. :) Thanks!! I’m so obsessed with this line. I’d like to make so many things with it. Awesome I’m the first one to comment!!! !- love the ponytail pillow!!! Thanks for sharing! Lovely fabric line. 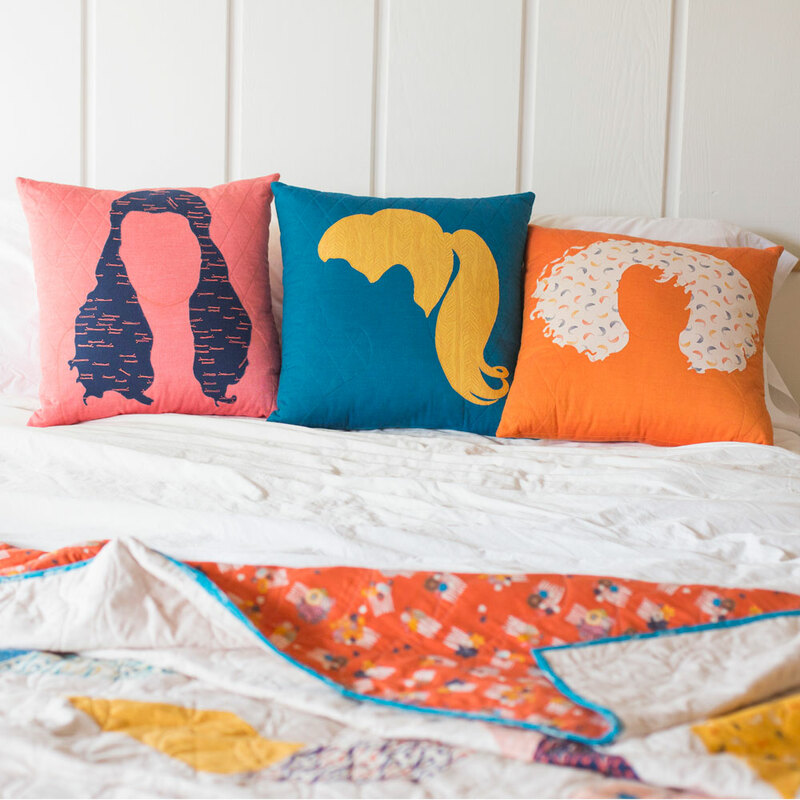 Fabulous pillows – we could all do with a good hair day. Your projects are so adorable. Thank you for the chance to win these beautiful fabrics. I love your bow quilt. Thanks for the opportunity to win! Good Hair Day has such a great variety of colors and designs…just like all hairstyles! There is something for everyone to love here and make themselves look good! Thanks for the wonderful tutorial on the hairstyle pillows! I love your pillows! I need to make these for my hair stylist. Your quilt is beautiful with the bows. Thank you for the pattern and tutorials for your projects. I adore the twice tied quilt! Those bows are gorgeous! Love the fabric, the bows are beautiful, and the hair applique is so unique! Great job! 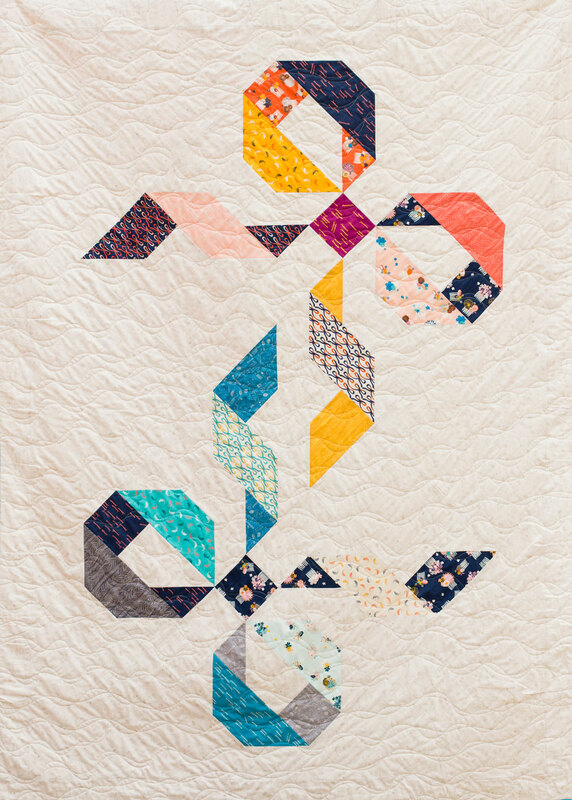 love your twice tied quilt and the fabrics are gorgeous. thanks for the giveaway. I love this fabric line and I love your pillows. Very clever! Thank you for sharing them. I love this line! I can’t wait to get my hands on some of the Bobby pins!!! Love the line! Super cute pillows! NEAT COLLECTION! THANKS FOR SHARING! HI, LOVE YOUR QUILT! THANKS FOR SHARING A NEAT GIVEAWAY! Love your project. Thank you for the in depth tutorial and the templates. I am a retired hairdresser, the fabrics and pillows show both of my loves. Thank you so much. So excited about this line! Especially the Bobby pins! The fabric for the curly pillow is just perfect! What a fun and different blog hop! Cute appliqué tshirt and bow quilt. This is a great line & thanks for sharing the wonderful projects w/us! Wow what a glorious collection. Beautiful rich saturated colours and fun patterns. I love your projects, especially the bow quilt. Thank you for this great giveaway, the fabric is so pretty! Great fabrics – I like the Twice Tied qult! Would love to make some little girl clothes with this line! Thanks for the chance! Love your pillows and your Twice Tied!! I need the pattern for Twice Tied – love LOVE it!!! Wonderful fabrics and projects! The pillows just crack me up! Great collection! Thanks for the lovely giveaway! Love your kid’s packing list! And the fabric is gorgeous! Love the quilts on the cover of the Look Book. The fabric collection is great, such vibrant, rich colors. Thanks for all the work you put into the samples for this fabulous fabric line. Looking forward to the rest of the hop. Thanks for all the samples of how to use this fun fabric. Looking forward to the rest of the hop. My first attempt at commenting seemed not to work, so my apologies if there are two! The bow quilt is so cute. I love the layout. I love your line! The bow tie quilt is so clever. I’ve never seen another quilt like it. I’m looking forward to the pattern being available. Thank you for the chance to win! Lovely collection! The pillows are great! Twice Tied is a very fun quilt! Thanks for the chance. Awesome pillows, Kim! And awesome fabric! Great projects! I love the sweet bow quilt. This fabric line looks fantastic. Thanks for the chance to win some. I love the pillows and the tutorial! Thanks for the chance to win this fabrics. Those pillows are so danged cute! Thanks for sharing, and for bringing a smile at the end of a very long day. This fabric is so cute – and I love your pillows!!!! I especially love the pillows – very clever!! Thanks for the chance to win this amazing fabric line! This is such a great fabric collection for making some special gifts. Good Hair Day Appliquéd T-shirt is darling! Like your “hair” pillows! My teenage granddaughters would each love a set of these pillows. I had better get busy! These new fabrics are wonderful! Thank you for the chance! Beautiful fabric – and I just love the twice tied quilt! Thanks so much! Love the pillows! So fun! Love the double bow quilt pattern! Love this line of fabric! Thank you for the great pillow tutorial! I love this font too! Love this line! Thanks for the chance to win! What a fun fabric collection! I’ve checked out the other blogs showing your fabric and all the cool designs. Your hair pillows are awesome. 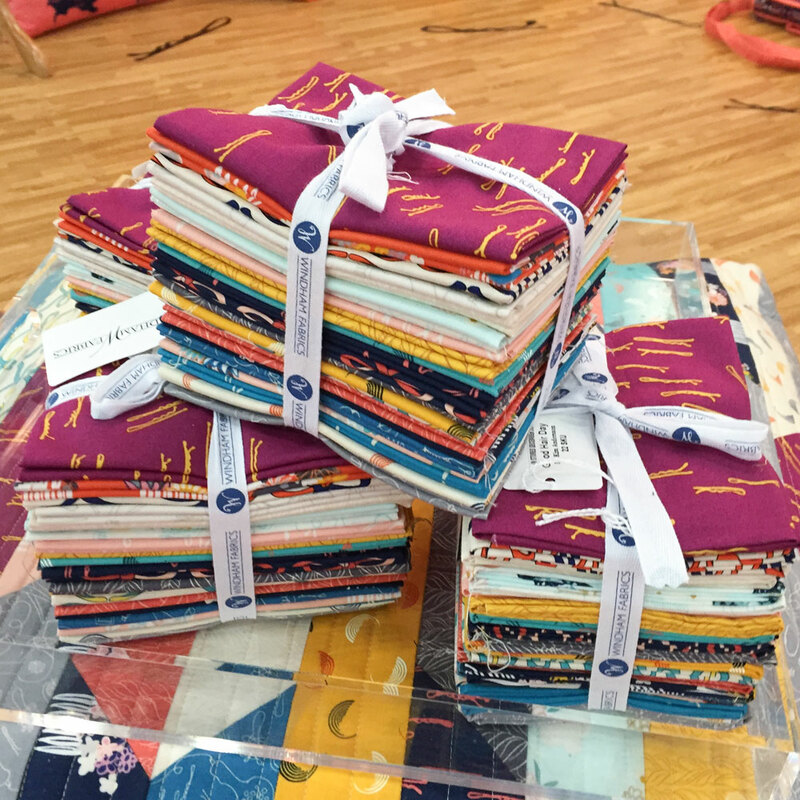 Wonderful fabrics, love the inspiration you’re sharing! I’m going to have a hard time deciding which project to begin first. What a fun collection. Would love to win! Great color palette to this fun collection! I would love to win this giveaway….the colors are sooooooooo awesome…. 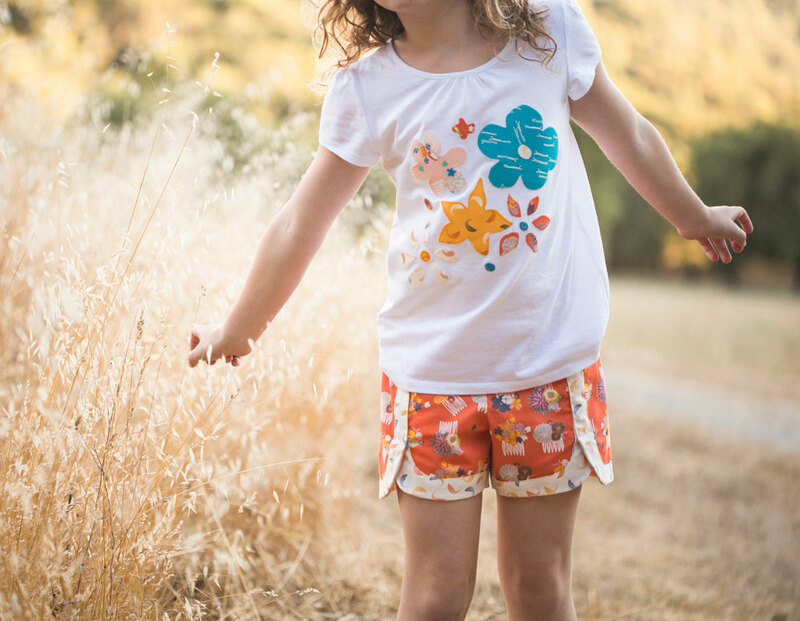 Such a fun line- love the applique t and those cute shorts! I have been drooling over this fabric!!! Love it. I have a million ideas for how to use it. And it is so fitting for me and my daughter with our long braids. Those pillows are just awesome! So much fun. I adore the Good Hair Day Pillow Set, they are so cute. Thank you for sharing. Have a great day! Love your quilt – it is very elegant. These fabrics designs are super fun. I love the pony tail hairstyle. That’s definitely me. That ribbon quilt is just darling. Can’t wait for the pattern! What delightful fabric! And what delightful pillows! Thanks for the fun! Sew pretty! I love the pillows. Thanks for the chance! Perfect to make those gifts for all our hairdresser friends…I love it! I would LOVE to make the pillows out of this fabric for my hairdresser!! Oh my I’ve never seen Bobby Pins on fabric..how sweet! Thanks for sharing the pillows…I know I’ll love the tutorial Thank you. The colors are beautiful and the prints are so cute. Would love to be able to make something using them. Thanks for the opportunity to win. I love those pillows so much!!! I love your bow quilt, great idea! It looks like you have been busy. Thank you for the giveaway. I LOVE that quilt and those pillows!!! Too cute! Thanks for a chance to win! Such a fun line and projects! Thank you for sharing! How exciting! Love the projects! Love these fabrics and colors. And those pillows are absolutely adorable. Thanks for the chance to win! OMGosh, I love that dress (navy with clips) on your model I saw on IG! Would love to win! Blessings! Ooh Ooh Ooh I would love to win! I’ve been ogling your beautiful fabric since stumbling across it online before it came it out! Although I have ordered a few pieces it would be awesome to win the complete bundle! Thanks for the chance to win and for making such cute cute fabric! I love the Twice Tied quilt. I can’t wait for the pattern release. If you like my designs then feel free to contact me to discuss licensing options. Click here to visit the contact form! 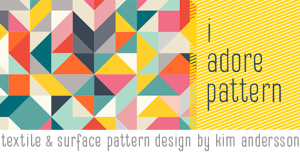 I’m an Aussie who has been living in California for the past 5 years and a Graphic Designer who, not so long ago, rekindled my passion for pattern, textiles and surface design. My pattern style is probably best described as Retro/Modern, calling from the best of the past with modern design aesthetics. Each collection tells a story and as I build my blog you’ll see the stories come to life. Please contact me if you need more information or you want to see more of my work. © 2013 Kim Andersson. All rights reserved.